The Tabby Awards /Business and Mobby Awards /Business recognize the best tablet and smartphone apps for businesses and professionals. 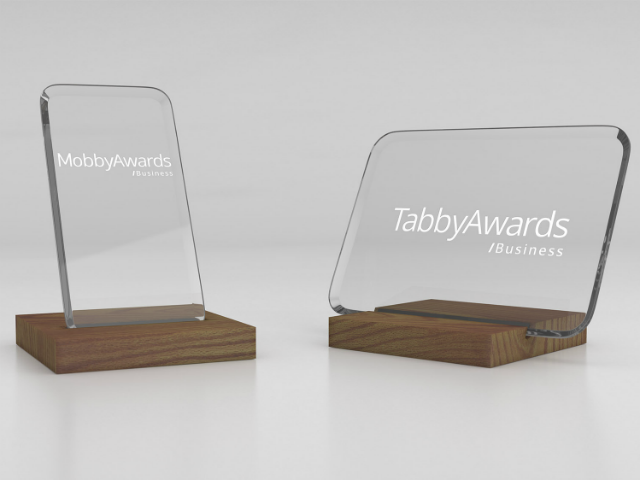 The Tabby Awards /Business and Mobby Awards /Business have announced the winning apps for their 2015 competitions. The awards honor the best in tablet and smartphone apps (respectively) for businesses and professionals. The nominees were announced last September. The 21 winning tablet apps and 13 winning smartphone apps were selected by an international judging panel of 24 mobile experts, chaired by Carson Conant, CEO of MediaFly, a Chicago-based mobile technology company. The lineup of apps this year was incredibly impressive. The slate of apps this year brought the perfect mix of business utility and the clean interfaces that you see in the best consumer apps. Check out the winners below, separated by operating system.